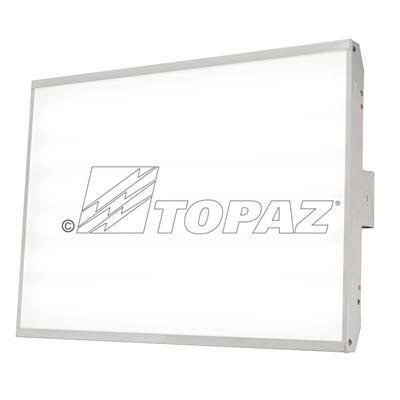 TOPAZ’s compact 2-foot Linear High Bay LED Fixtures are the perfect solution for warehouse, production facility, showrooms and gymnasium lighting. 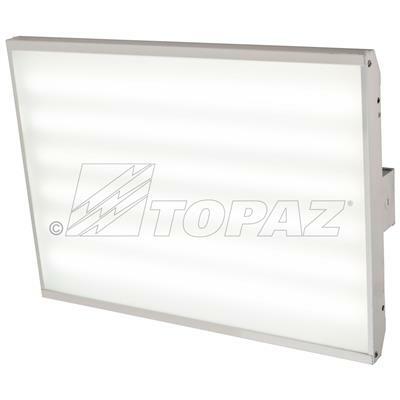 These dimmable 110 watt, 14,300 lumen fixtures are designed for mounting height of 20'-25' and are DLC premium. 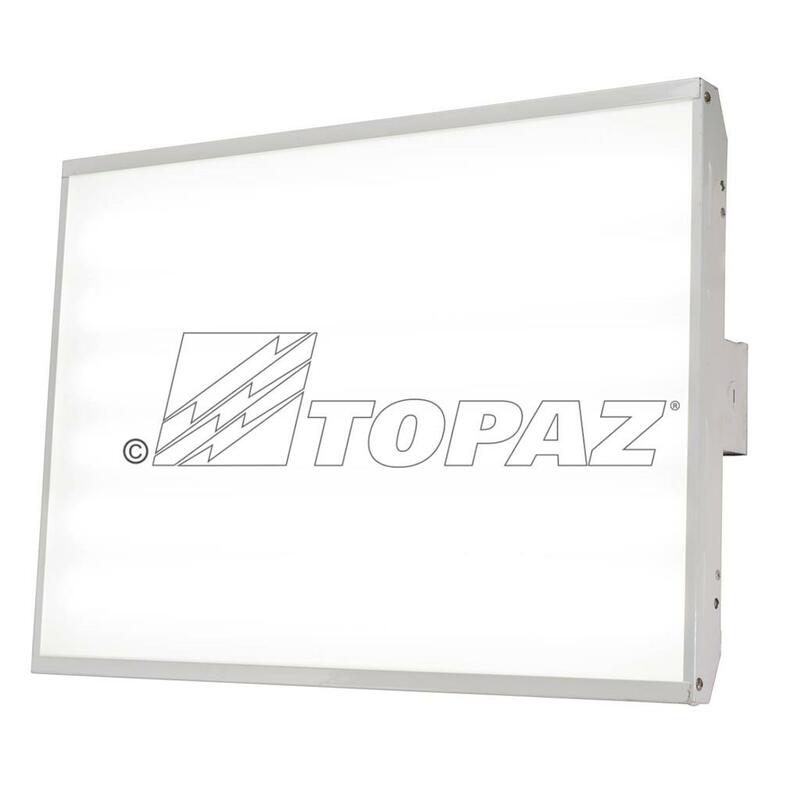 They feature a steel housing with UV resistant powder coat finish, heat resistant frosted acrylic lens with glare free optic, universal input voltage, a wide beam angle and a 5-year warranty. 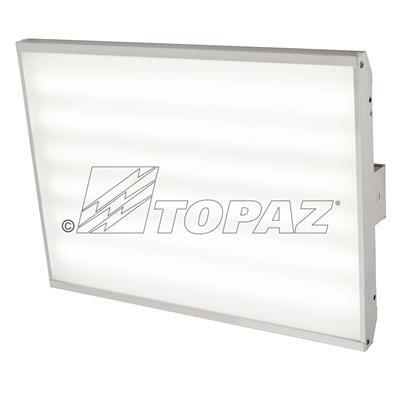 Optional accessories include motions sensors, surge protection, battery backup and wire guard can be ordered separately.